I’m currently playing “catch up” after tackling so many smaller jobs on this build and falling ill for a couple of days earlier in the week. This post is a super short one to close off the seating build and labeling it a massive success. 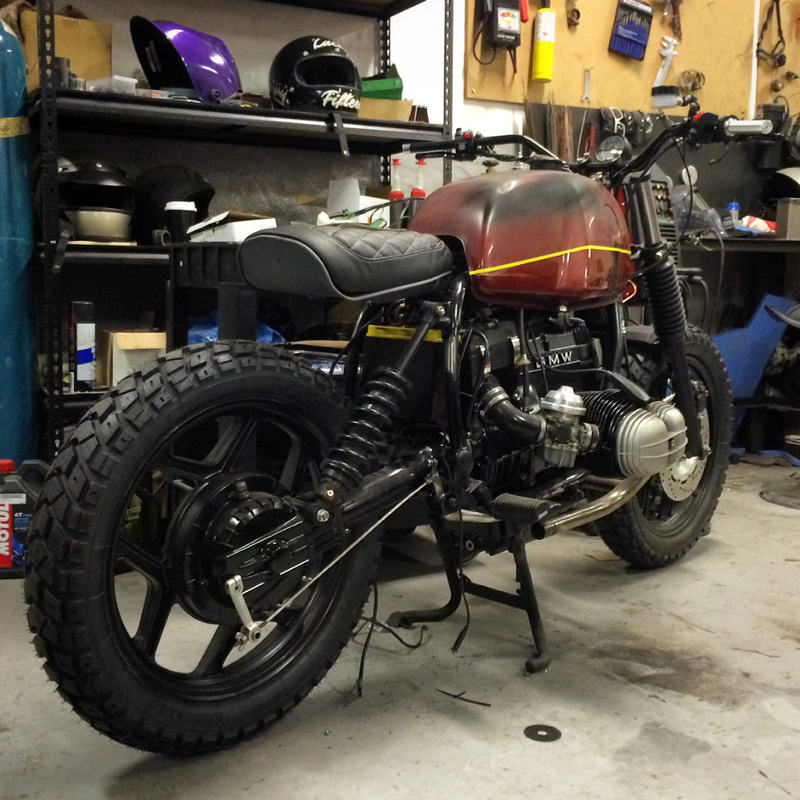 Thanks to the tireless effort and undeniable skills of Ren (Rene9ade Custom Motorcycles) the seat is done. The quality of Ren’s seats is second to none in my honest opinion and you’d be insane not to contact him to get a seat done if you’re looking. I’ve elected for black vinyl (to best deal with abuse/weather) and a grey stitch which will in turn tie in with the rest of the colouring on the motorcycle. 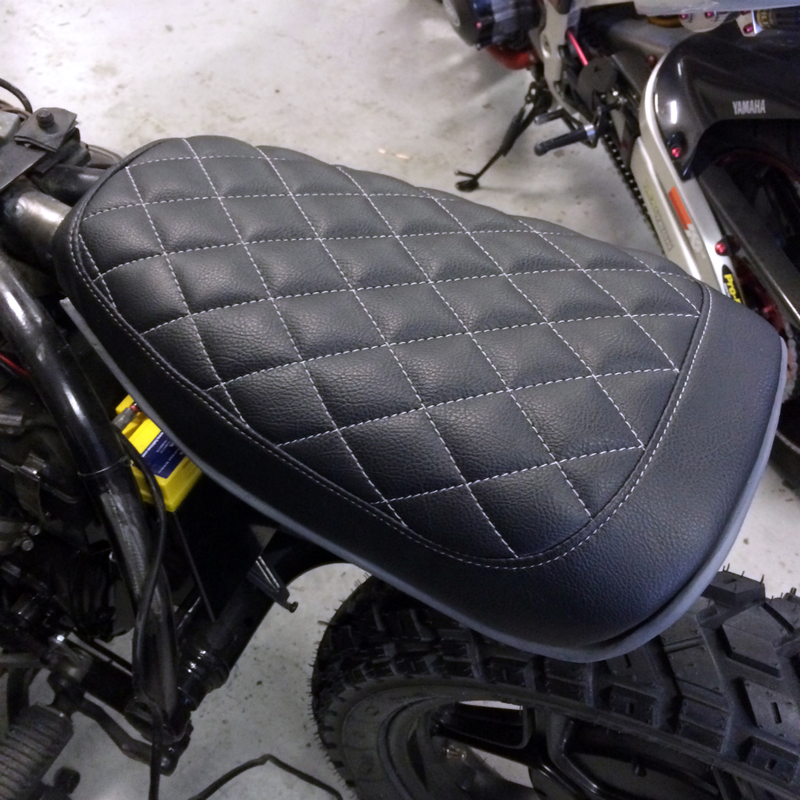 The diamond stitching and subtly pronounced surrounding seam make for one damn fine looking seat! In order to give you a bit of an idea of how the seat sits in relation to the rest of the bike, please check out the image below. The seat isn’t bolted down in the picture, but you get the idea! Anyway… A ridiculously large amount of updates to come. I might combine stages on occasion from here on out simply because the build is now moving from the larger jobs that justify a post to themselves, to smaller jobs that each are critical, but aren’t really suitable for their own post. Thanks for reading and by all means let me know what you think thus far! Tagged 800cc, airhead, BMW, boxer, fabrication, flattwin, motorbike, motorbikes, motorcycle, motorcycles, project, projects, R80, r80rt, rene9adecustoms, seat, upholstery. Bookmark the permalink.